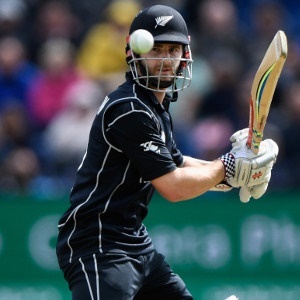 Wellington - New Zealand captain Kane Williamson was left frustrated as his team came agonisingly close to an ODI series win in India but still took away positives from the defeat. Chasing a target of 338, the Kiwis lost by just six runs in Kanpur in the series decider to go down two-one after the three matches. The Black Caps had made a good fist of the chase but lost their composure towards the back end and could just not get over the line for what would have been a famous series win. Williamson said after the game: "When you do come so close to victory, you can look at hundreds of different little things and go 'what if', but at the end of the day you can't really do that. "You need to accept it. Whenever you lose, whether it is by one run; or if you win by 100 runs, you still want to learn from the performance and be better next time. I think that's where our focus will be. "I mean, naturally if you look back at a game, to lose by six runs, having come so close in a big run chase, is frustrating, disappointing, but if you sit back and look at the work that was put in in that batting innings to get so close, it is a really promising thing for this batting unit. "Yeah it is hard to swallow, another decider here on India. I think we put in some good performances, but you have got to be at your best when you play this Indian team, especially at home." New Zealand will now play India in three T20Is, starting in Delhi on Wednesday.